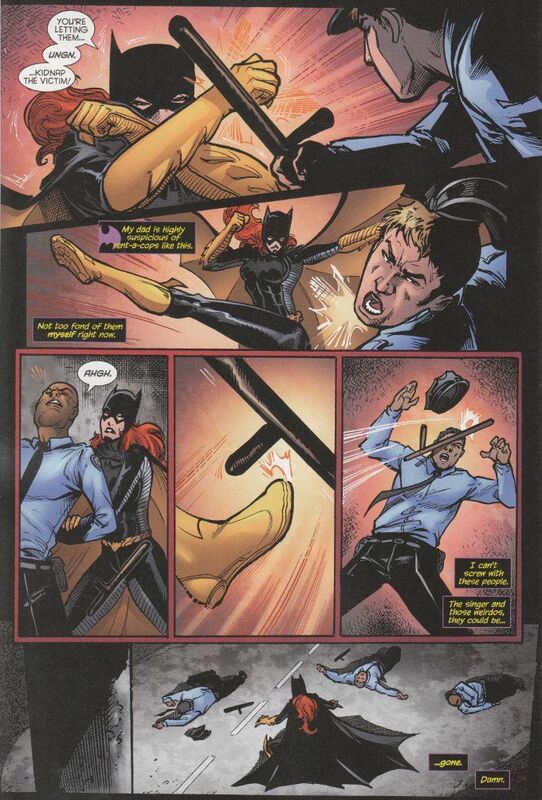 When Gail Simone returned to Batgirl, we knew she would return with a vengeance. Yet never in our darkest dreams did we imagine that she'd create something this horrible, this terrifying, this... unholy. Even those of us familiar with Simone's work on Secret Six never imagined that she'd dare to unleash a villain as spine-shiveringly freaky as the new Ventriloquist. You may laugh at that opening paragraph, dear reader, but the horror contained within goes far beyond the way in which all large dolls and ventriloquy figures are a little unnerving. This new Ventriloquist is Peyton Riley run through the wringer with Stephen King's Carrie - an abused young woman finally given the power to fight back. What is her power? That's a mystery that will carry over into the next issue but whatever else she may be capable of, she's very good at throwing her voice and impersonating voices. The artwork is excellent, save for one small glitch. Inker Vicente Cifuentes helps out with two pages of this issue and it would be obvious precisely which two pages even if the credits page did not note them specifically. Cifeuentes is not a bad inker but his style is much more heavy-handed than regular inker Jonathan Glapion and the artwork is visibly different as a result. The difference isn't really bad but it does prove a distraction during a particular action scene. That being said, the pencils by both Daniel Sampere and Carlos Rodriguez are good and the story flows smoothly despite the sudden change in the inking.